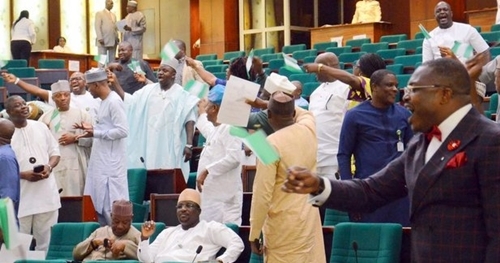 President Muhammadu Buhari’s decision to declare June 12 as Nigeria’s Democracy Day in honour of late M.K.O Abiola, has caused a rowdy session at the House of Representatives, Abuja. While some lawmakers supported it, others asked the President to rescind his decision. Some of the lawmakers also kicked against the GCFR honour given to Abiola, the presumed winner of the June 12,1993 presidential election. Some opposition lawmakers who also spoke on the issue said there is need to ensure the rule of law is followed regarding the matter.